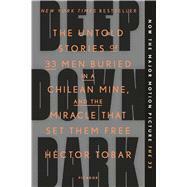 Héctor Tobar is a Pulitzer Prize-winning journalist and a novelist. He is the author of The Barbarian Nurseries, Translation Nation, and The Tattooed Soldier. The son of Guatemalan immigrants, he is a native of Los Angeles, where he lives with his wife and three children.